It is, according to sources in Transport for London, an out and out war. The battleground is the plan for Crossrail for cycles announced by Boris Johnson recently which involves two clear mostly segregated routes for cyclists, one N –S, the other, longer, that is E –W. Already, the forces of darkness are massing on the hilltops to launch an all out assault. They must be stopped. As ever, the designs are not perfect. There are places where clearly there is still the potential for conflict between cars and cyclists, and many of the cycle paths are bi-directional which, by definition, means there might be difficulty accessing them. 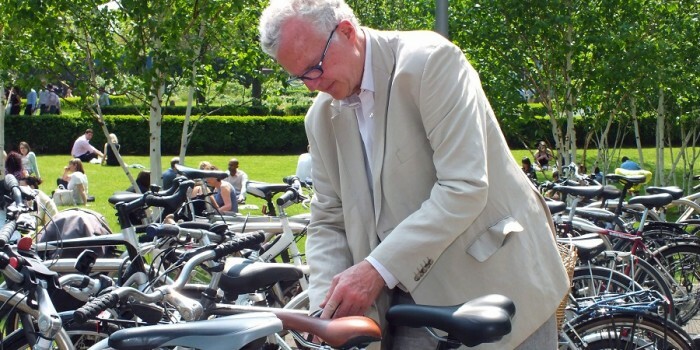 However – and this is a big however – it is imperative that cycling groups across London get behind the scheme. Yes, we know that Boris has put it forward as a cynical ploy to try to push his pretty non-existent green credentials. Yes, we know that Boris’s first effort at superhighways was a disaster as illustrated by the deaths at the Bow Roundabout. This, though, is on a different scale. It will show Londoners – and indeed the world – that Transport for London is serious about cycling and that the London Cycling Campaign’s slogan of Space for Cycling is bearing fruit. There’s no doubt that these plans are radical and represent a step change from anything even suggested before. I personally have doubts about whether it is sensible or desirable to create a cycle lane along Westway, instead of as a kind of two fingers to the people who built this attempt at turning London into a urban motorway nightmare. The radical nature of the scheme explains why it is already being attacked by commercial interests with no interest in making the city a better place to live and travel in. As the excellent Cyclists in the City blog put it, ‘masters of the universe’ are concerned that their car journeys to Heathrow will take longer (I was once told by a City source that bankers were only interested in a transport system that could deliver rapid road journeys between the City and Heathrow, preferably on a motorway). Predictably the RAC Foundation has got in on the act, worried that space is being taken away from car use, and even London First has got in on the act. However, there are also a lot of business supporters. They recognise that cycling is good for many businesses. People on bikes have easy access to high streets and therefore are likely to spend money locally. This has been demonstrated time and again, and yet Neanderthal business interests will clearly oppose this scheme all the way through. That is why all those with an interest in making London safer for cyclists, which brings benefits to other people in the city too, must be prepared to come our publicly in support of the scheme. Already various groups have started to organise. London Cycling Campaign has created an online form to show your support and group called Cycling Works is encouraging people to put pressure on their employers. So let’s forget our scepticism, our concerns about details and our arguments about segregation versus cycle paths on highways (a row, incidentally, which according to the new book by Carlton Reid, Roads were not made for Cars has being going on since the 1930s), and get behind the Crossrail for bikes.